Some of my favorite things that the girls have worn are pieces from shops that you might not hear from or see all that often. Don't get me wrong, I love the stuff they wear from the big box brands, but I love finding those unique pieces that smaller shops have. And one of those shops is Cheerily! 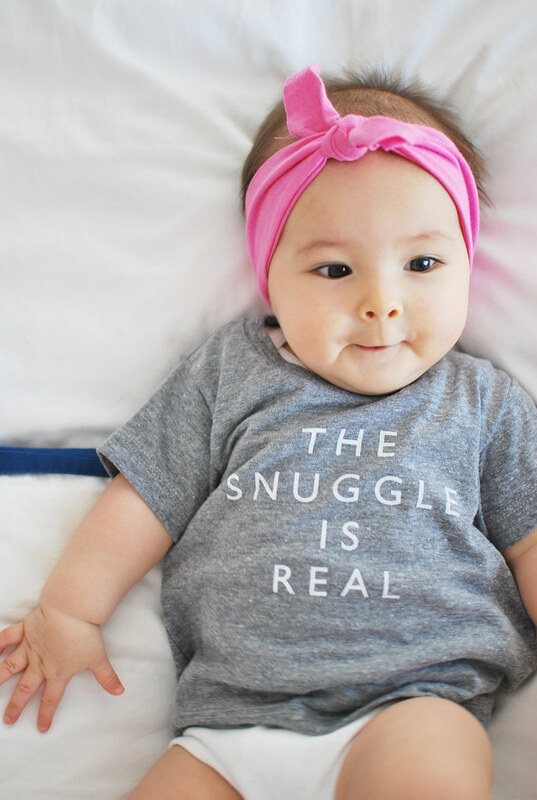 I can't seem to get over the play on words of this The Snuggle Is Real Tee! 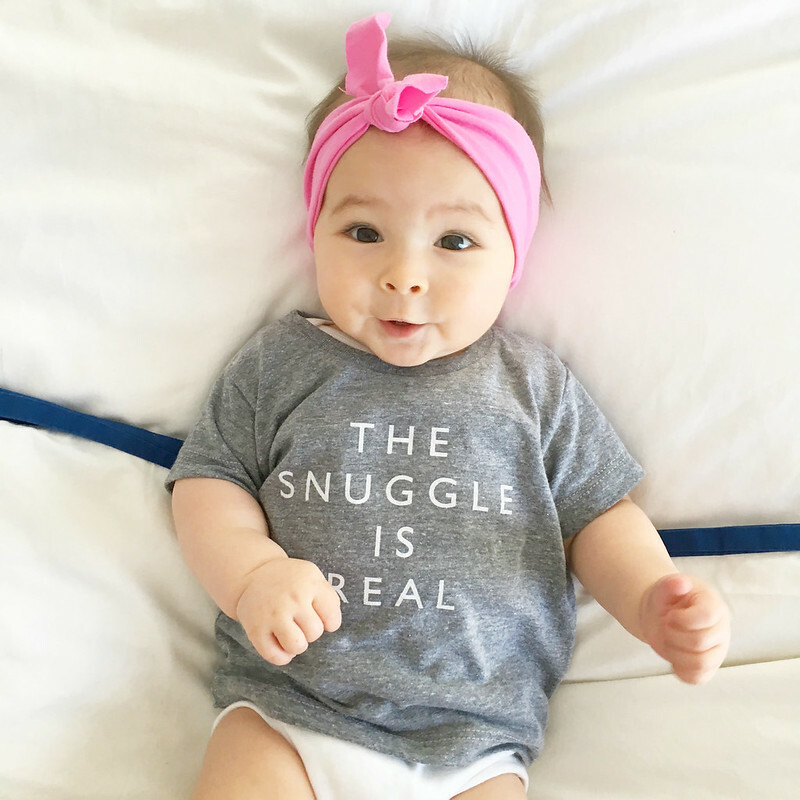 I don't know what it is about seeing little babies wearing t-shirts, but that coupled with the fun (and true!) 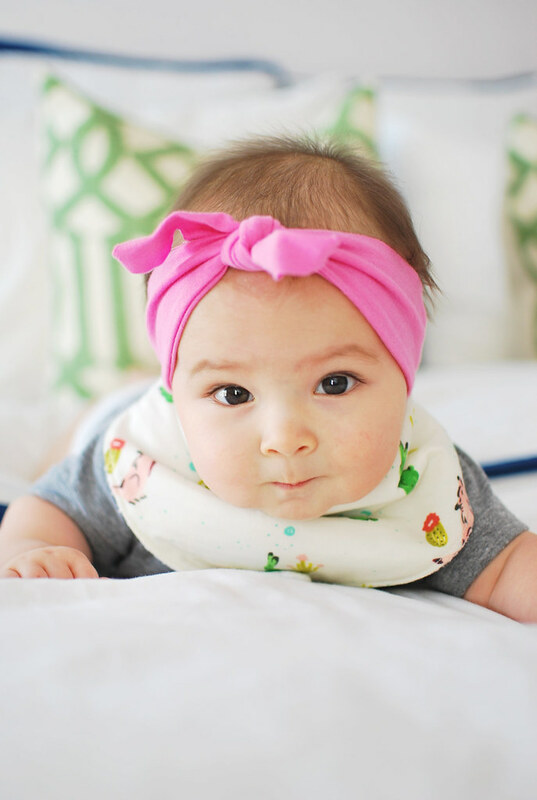 text, it's exactly what I love about dressing little babies and kids up, it should be a fun thing! 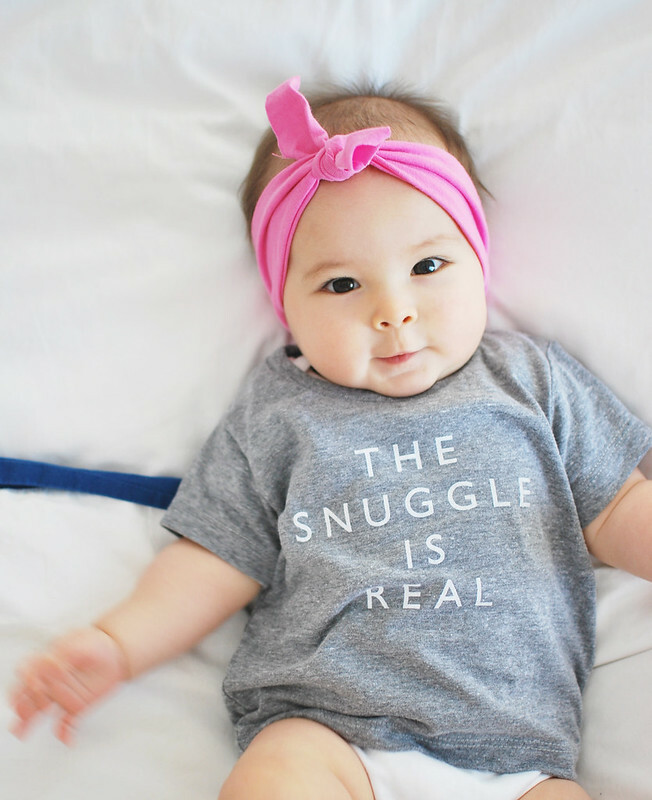 To share the love of finding these smaller shops that have great pieces for our littles, Cheerily is offering all of you guys 15% off your order! 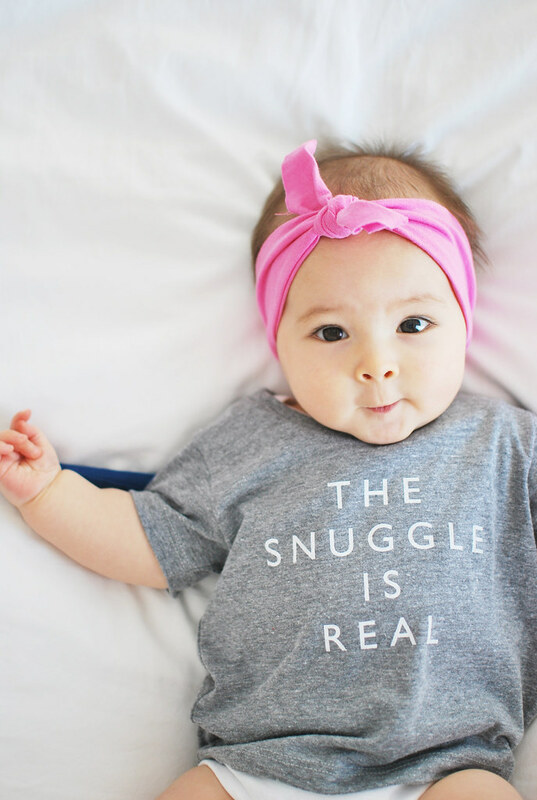 Just use the code PROPERHUNT15 and outfit your babes with some cute gear! 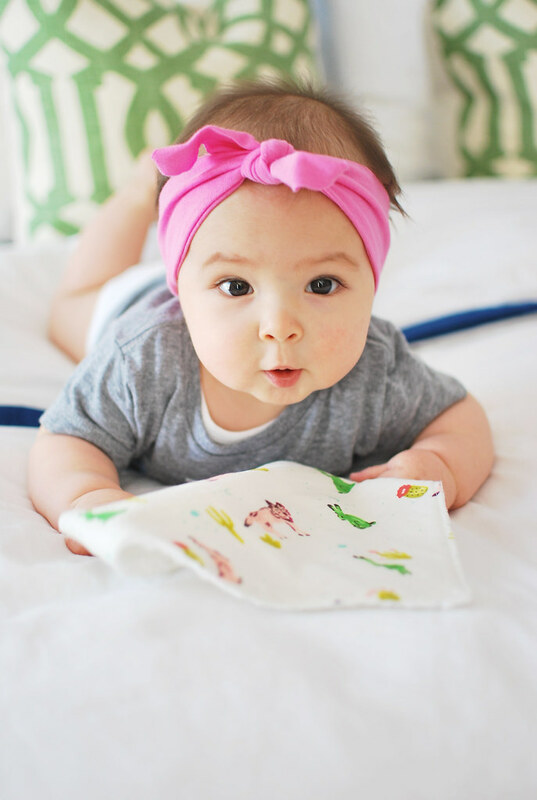 Now, here are some cute pics of Vivi to help you get through this Wednesday. Is it Friday yet?? This post was created in partnership with Cheerily. All opinions are my own. Thank you so much for supporting the brands that keep this blog going! She is so beyond adorable! Where did you get the pink head wrap? Adorable! It is built in an ingenious style that webgarden.com/ lets you make use of tiny waste bags Official Website that are a fantastic way of minimizing on The Best Food Vacuum Sealer Reviews price and also the waste bags disposed.Vacuum Sealer A typical attribute with the FoodSaver home appliances is the Vacuum Sealer 2017 capability to keep food fresh 5 times longer. the testing executed in the Customer Reports labs.medium.com/ They on a regular basis upgrade the simulations Title they conduct in order to simulate real-life safety difficulties, Best High Chair — Stand-Alone High Chairs as well as are a lot more rigorous in their screening compared to almost anyone else.